ROAD TOWN, Tortola, VI- Many residents, police officers and family members of Santo Y. Hernandez still await the probe into his fatal shooting by police on December 6, 2017 in the hills of Butu Mountain on Tortola. Mr Hernandez, who was one of many to escape from Her Majesty’s Prison at Balsam Ghut after the powerful category 5 hurricane, Irma, destroyed the building, died on December 7, 2017 at Peebles Hospital after being shot by police. 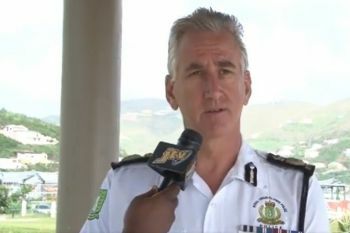 Weeks later, a 12-member team from the Royal Turks and Caicos Islands Police Force arrived in the Virgin Islands (VI) to conduct what Mr Matthews said will be an “independent investigation" into the killing of Mr Hernandez. Report by end of month? Mr Matthews, who promised that the report will be transparent and that it remains “independent from the RVIPF”, added that he is expecting the report by the end of January 2018. 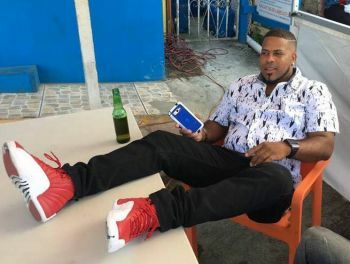 Mr Hernandez, a native of the Dominican Republic (DR), was, before his killing by Government, charged for the murder of Alston E. Penn, but was never convicted of the crime. It is our newsroom's understanding that the family of the deceased made arrangements for his body to be returned to Santo Domingo in the DR for funeral proceedings last week. If you feel he was a human and not a dog, you are wrong. Was he always acting human with his fast talking threatening mouth. Was he human when he was always doing underhanded things and showing off thinking nothing could happen to him even though he hurt others. No you are correct, he is not a dog because poor innocent dogs don’t do those kind of things. Agree...Karma.Just happy none of the officers were hurt while trying to arrest this man.He had the opportunity to turn himself in to the police months before. At least, he should have sense not approach armed officers with a knife.Prayers go out to the family of his victim.Hope they wrap up the investigation quickly. Well we're they trying to give him a warning shot? If so, where was he shot and what kind of gun was used? I wonder if they used one of those big rifles to try and give him a warning shot.....those guns are meant to destroy their target. Sorry but there is no such thing as a warning shot especially if its a live round. Every bullet must be accounted for. Police investing police is like putting a rat to watch cheese: hold your breath and find out: is it not funny the investigations will be conducted by a police department that had squads operating in this territory........Babylon well tricky!!!! Ok......it was the Police and cheese stuff then, LEADERS, MONEY, NDP, VIP, ELECTION. JOBS, DOCUMENTED WORKERS Certainly they are all relevant topics but what do they have to do with the topic at hand? You sure sound like a man just awaken from sleep and is trying to join a conversation in progress. Stay on the subject you should have blogged once. The first has more substance. By the way when this accused murderer was running loose many blogged about the inefficiency of the COPS now he was caught ...unfortunately died as a result of injuries sustained in the operation it is pure criticism. The truth is whatsoever the investigation reveals, most will accuse the investigators of a coverup. Two families are left to mourn their loved one. One may beleive that justice has been served, while the other hopes for it. We the bloggers are then left to wonder has it? @Priorités, with You 100 % . You all may have your say about the situation. However this why we have the Criminal justice system. This unnatural death is different to some one dying under usual circumstances. The Coroner and a jury will have the final say about this matter. Whether the police investigated themselves or not. The coroner will hold what is called an inquest into the death and jury will determine whether the death was lawful or unlawful, an accident or by misadventures, so no what the police write in their report, the Coroner will determine the way forward in the matter. I love the law. Waste of resources if you ask me. Can these 12 TCI police help with the over 30 unsloved murders in the bvi? Why is his death being probed more than the deaths of Franklyn Penn and Trinity Moses??? I ask the same thing. Can you believe they brought in a team to investigate that criminal's death, but no team to investigate the other two deaths at west end.....i mean an innocent 11yr old girl. Where's the outrage?Where's the leaders calling for justice? Where's the community demanding justice? He thought he was untouchable and could do dirt and laugh about it, well he is not laughing now and he doesn’t know he is dead, because he is dead dead dead. GoodBye!